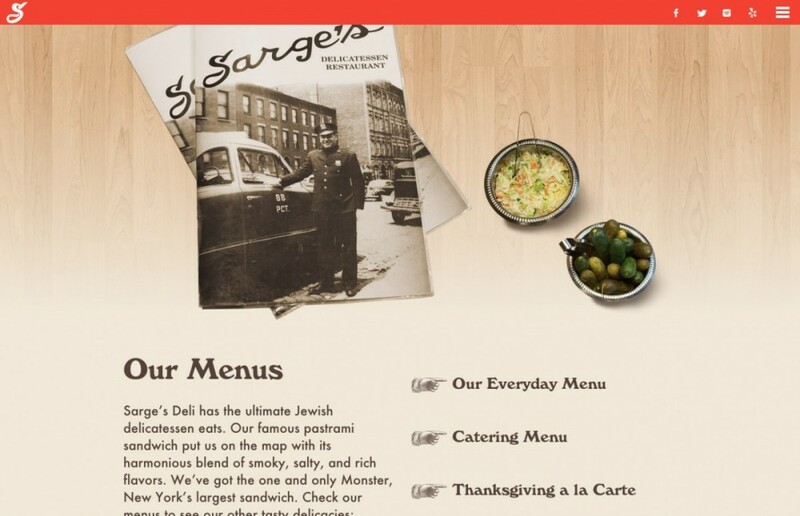 Sarge’s Deli is one of the few old-world Jewish style delicatessens left in New York. From the authentic Tiffany’s stained glass lamps to the celebrity photos that line the southern wall, this place has the charm you come to expect from institutions of the like. The website was designed to bring the warm & cozy feelings you get when dining in Sarge’s to the website utilizing fantastic photography and a clever narrative. The highlight feature is a unique image gallery that detail the specialty sandwich items served at Sarge’s. Think you can tackle The Monster? You may think again after comparing it do some of the other offerings. Additionally, the responsive design optimizes the site for desktop, tablet, and mobile devices.